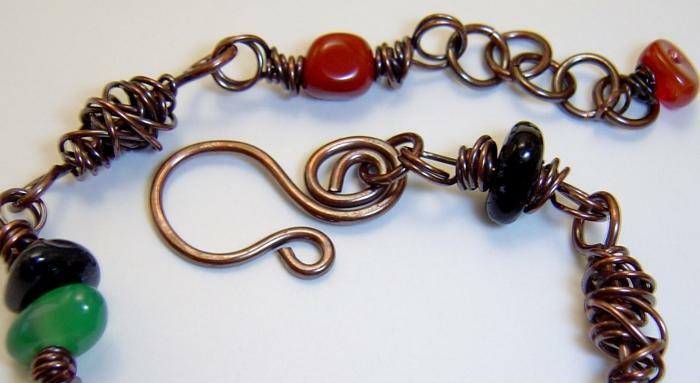 This bracelet is handcrafted using 20, 18, and 16 gauge copper wire. 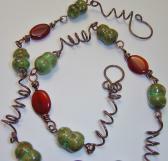 First I made simple copper links then I wire wrapped each link to form my messy wire wrap links that I love to make. 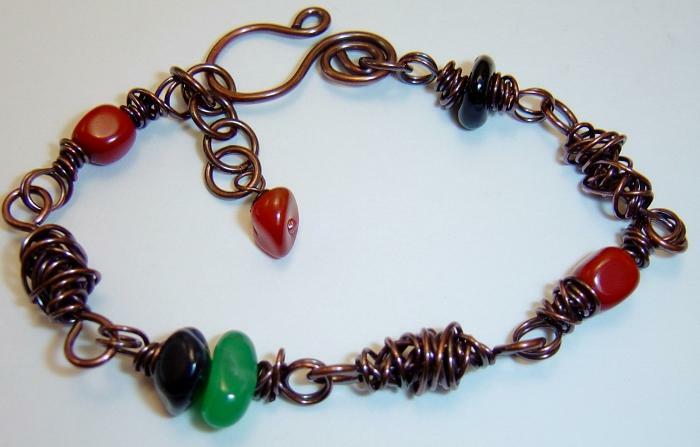 Then I made double wire link loops with agate, and jasper gemstones. Each double loop link has my messy wire wrap on each side of the gemstones. Once all the links were made I then connected them all together. 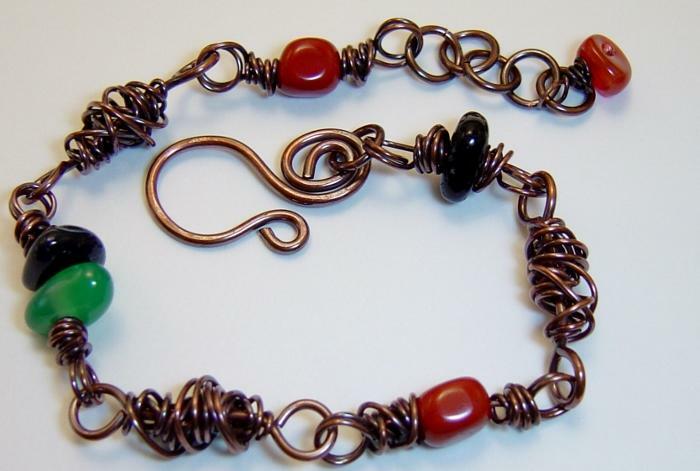 The clasp was handformed with 16 gauge copper wire and lightly hammered to strengthen and add texture. 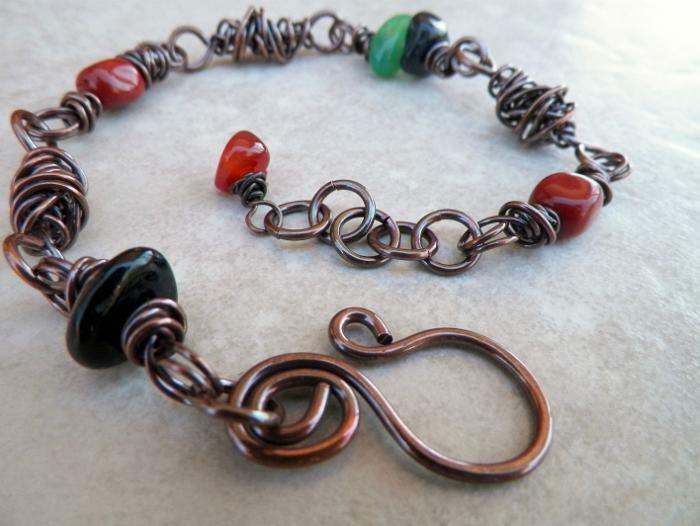 The bracelet was then oxidized and tumbled to work harden and polish to a beautiful shine. 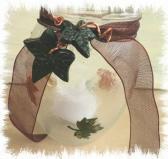 Bracelet measures 9" in length with a 1" extension. Agate gemstones are a very durable gemstone that is believed to bring stability to ones life. Jasper gemstone is believed to help control ones intense passionate nature, protection stone. stabilize's ones emotions, reduces fears and insecurities.